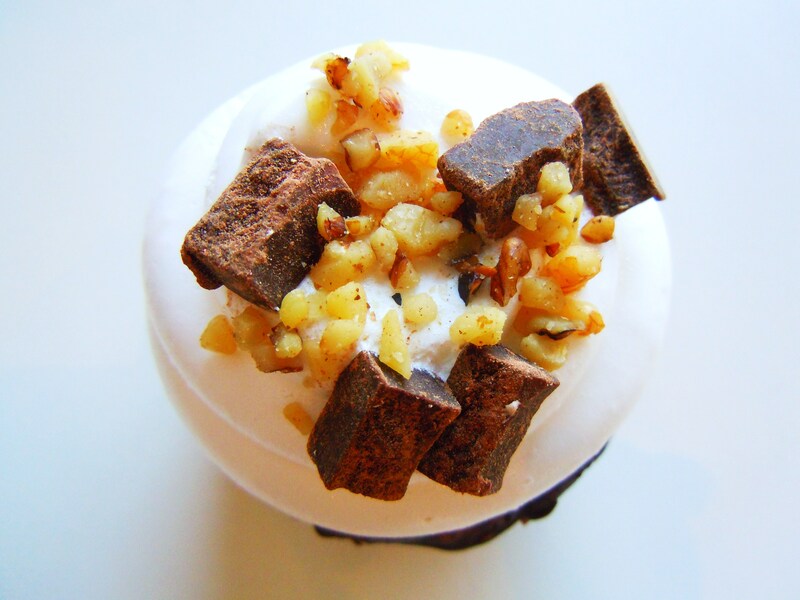 The Ooey Gooey Goodness of Marshmallows & Rocky Road – Cupcakes in Scarborough at So Into Cupcakes! Here’s a quickie, multiple choice quiz for all of you (not to worry; it’s fun and it’s not hard!). Take a wild guess and answer the following question: how did I find out about one of Scarborough’s newest, hottest cupcake bakeries, So Into Cupcakes by Markham Rd. and Ellesmere? A) through a friend, B) from a bus, C) from a magazine, or D) from a local cupcake fairy. I’ll tell you right now that I wish it could have been D. How awesome it would be to have cupcake fairies telling me where all the newest and yummiest cake and frosting creations are! But alas, no cute fairies. Nope, I discovered So Into Cupcakes from the window of a bus! I don’t even know where to start with this one! Cupcakes! IN SCARBOROUGH! OH MY LORDY! 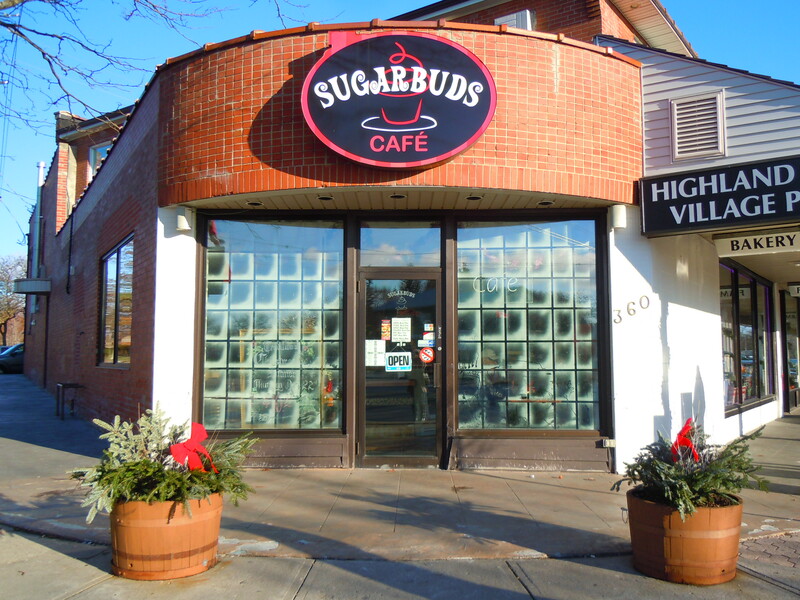 I know I wrote about Sugarbuds Bakery & Cafe on Kingston Rd. 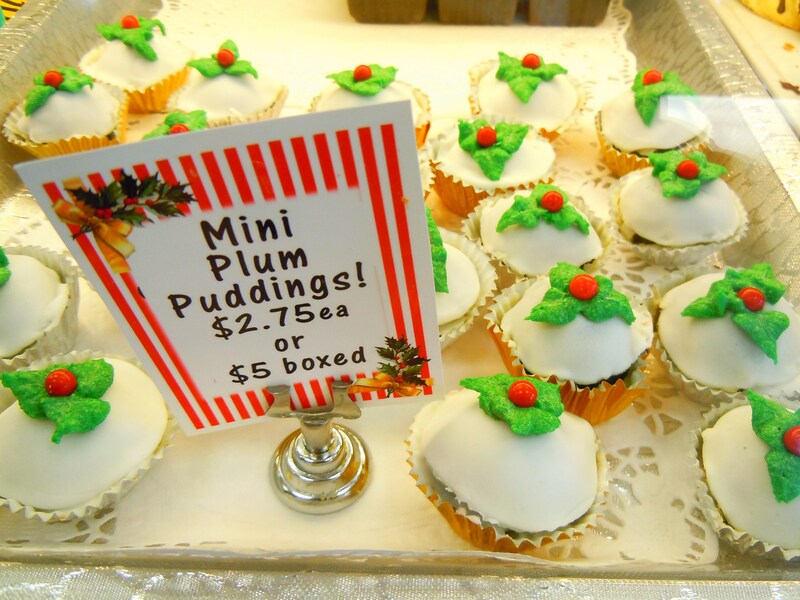 last Christmas and was over the moon about having a place in Scarborough to get cupcakes. But this is different. So different. 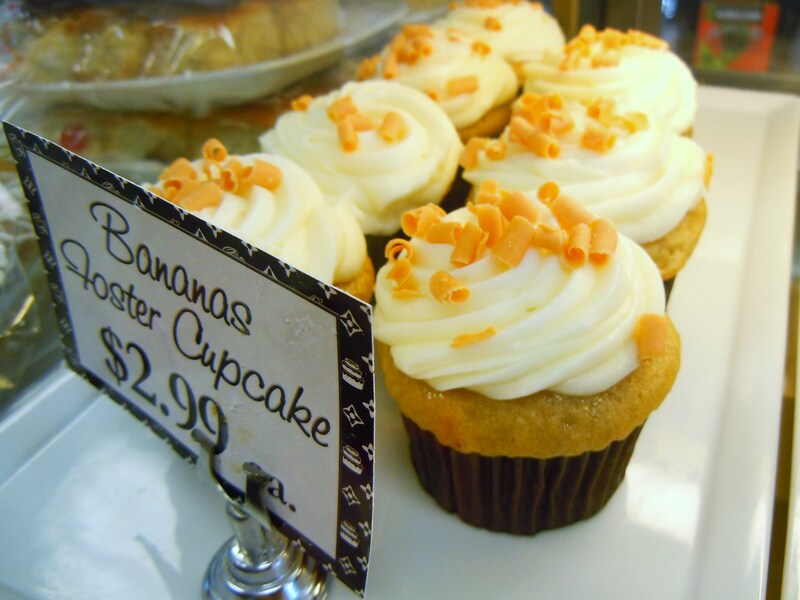 We’re not talking about cupcakes within the parameters of an all-rounder bakery. 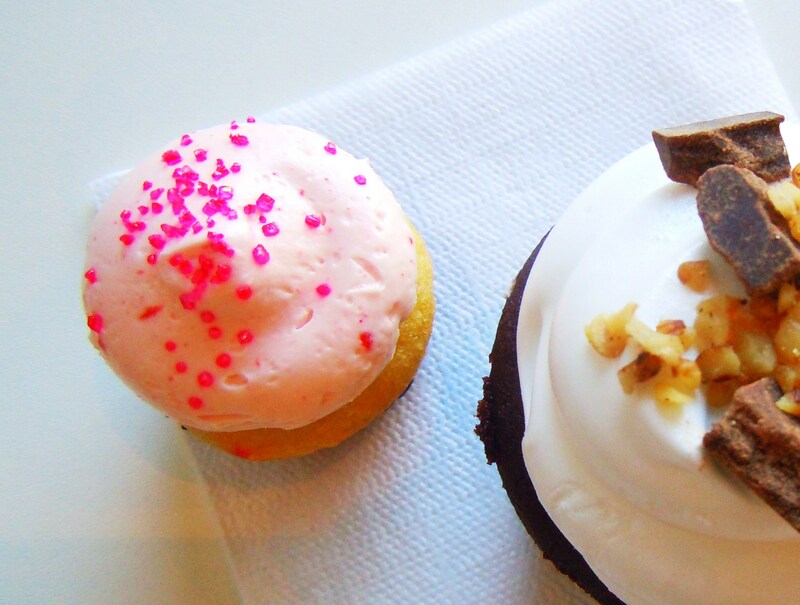 We’re talking cupcakes and ONLY cupcakes! Cupcakes under a glass display case. Sitting pretty like precious artifacts in a museum. 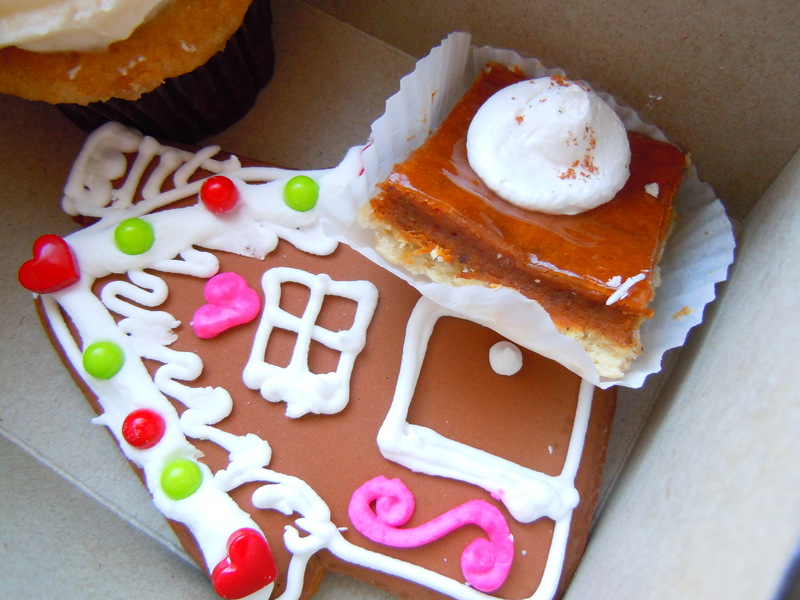 Housed in a cupcake exclusive shop. 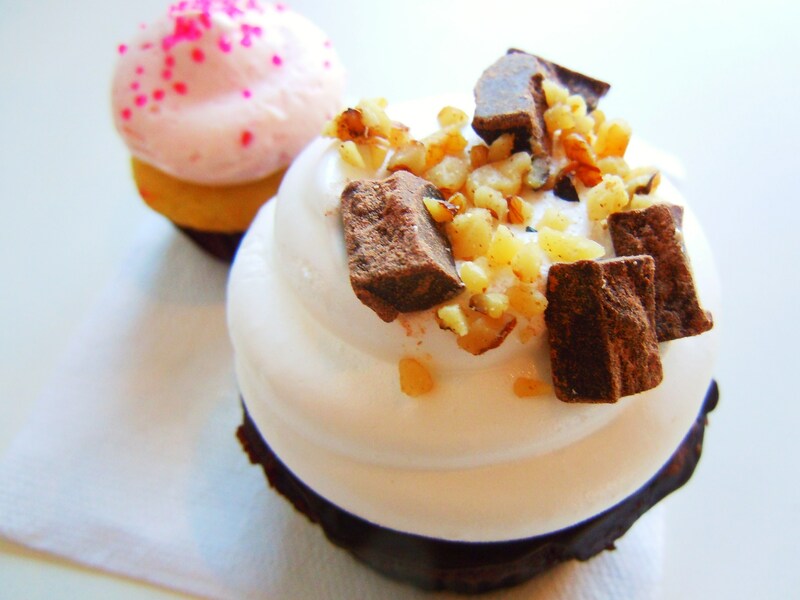 Foodies and cupcake lovers – WE HAVE AN HONEST-TO-GOODNESS CUPCAKERY IN SCARBOROUGH!!! This makes me so happy! And I don’t even live in Scarborough anymore! It’s happening everyone – cupcakes are slowly but surely making their way into suburbia and I, for one, am bouncing off the walls with jubilance over it. 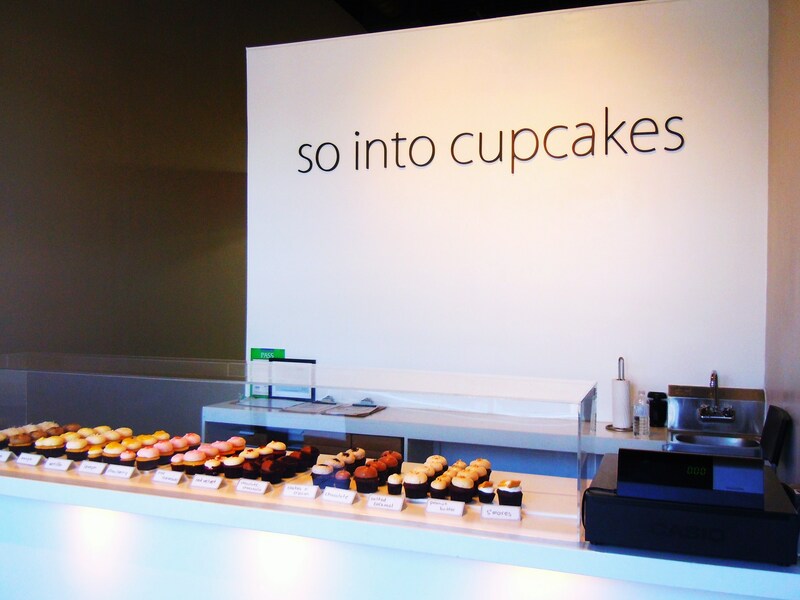 I found out about So Into Cupcakes, located at 2060 Ellesmere Rd. at the corner of Dolly Varden Blvd. just west of Markham Rd., by a sheer stroke of luck. Long story short, I was riding the bus on Ellesmere one afternoon when I dazedily looked out the window, saw the giant shop signage and cupcake imagery from its regal position in the plaza, and almost ran off the bus while it was still moving. 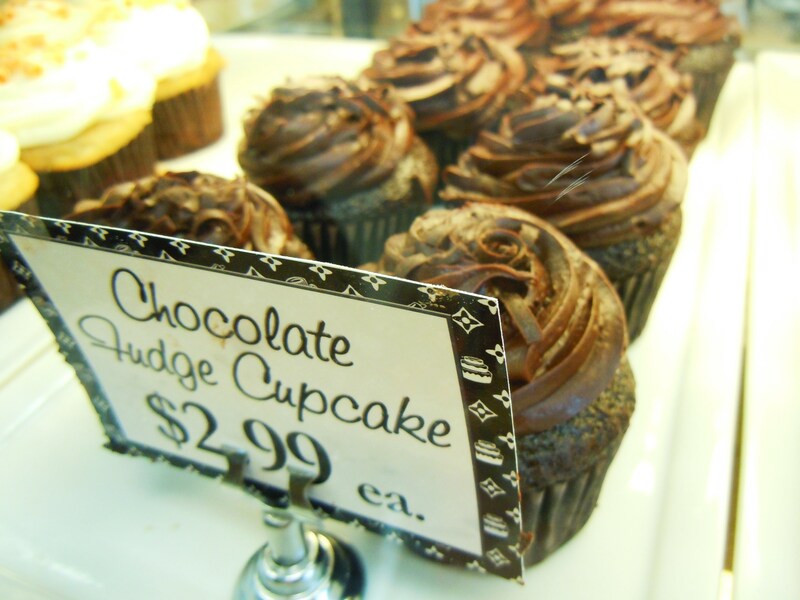 My mind started sputtering and my heart start thudding, “So…Into…Cupcakes…oh my…what the…cupcakes! 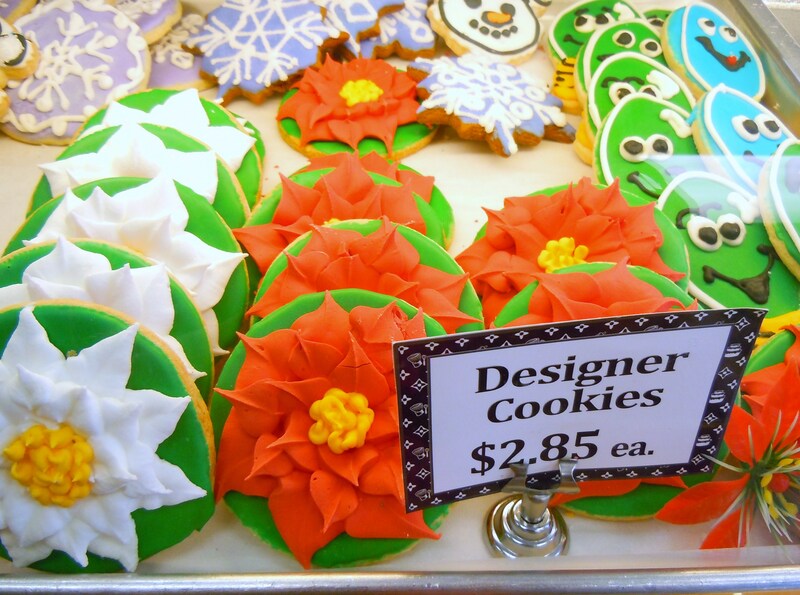 New cupcake shop! When?! CUPCAAAAKES!” You get the picture. When I reached my destination, I walked off the bus in daze, with this as my only thought: “I need to get home and look this place up!” And I did. 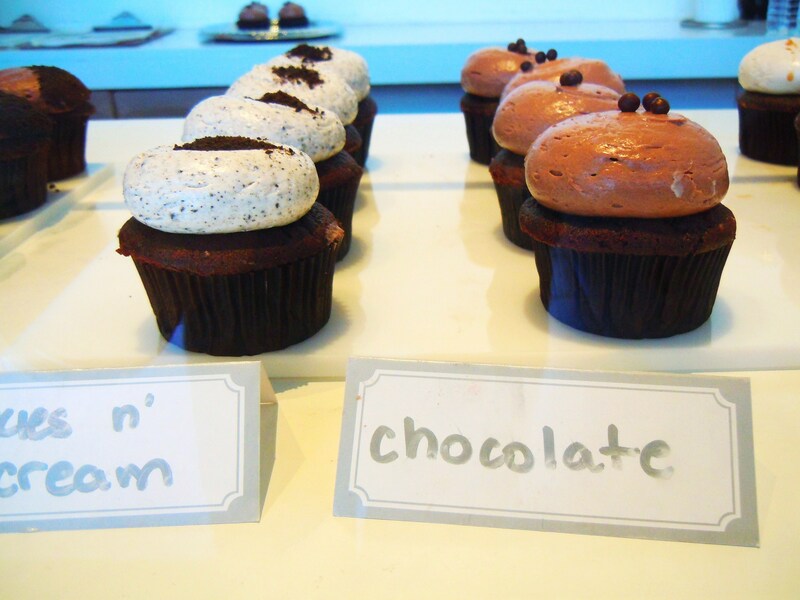 And found out that So Into Cupcakes, as a shop, had only been around for about half a year. 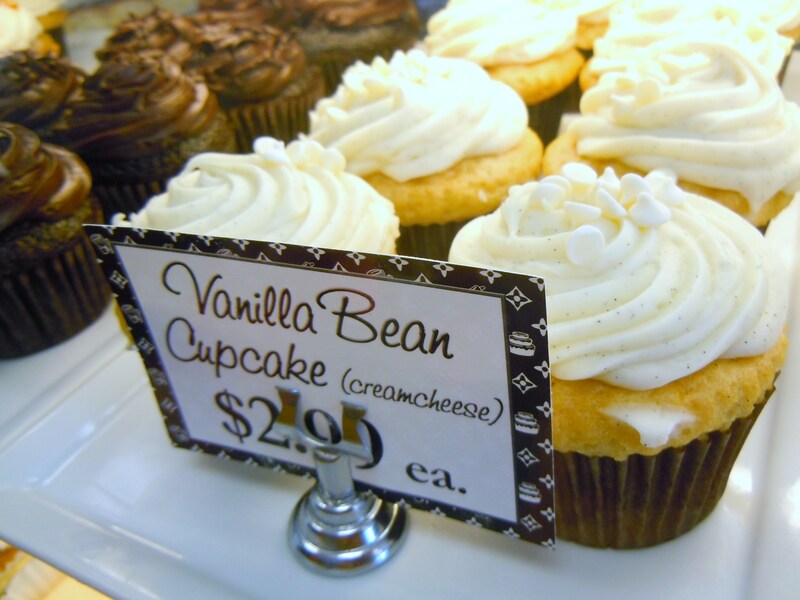 Before setting up shop in Scarborough in a growing plaza with plenty of foodie treasures, So Into Cupcakes was actually an independent home business. All I can say is that I’m so happy the business grew enough to occupy a lovely little cupcake boutique shop and I know for a fact I’m not the only one! Backstory: my boyfriend and one of his coworkers were having a fun discussion about the things they’d want to see in Scarborough – services, retail, anything and everything. My boyfriend cried, “cupcake shops!” to which his coworker replied, “I don’t think there’s a market in Scarborough for cupcakes”. My response? “Wanna bet?” As crazy as it sounds, apparently I was not the only one who found out about So Into Cupcakes from a bus. While I was stuffing my face with two cupcakes in the shop (one regular-sized, one mini) and taking photos, customers trickled in and one of them mentioned how they had seen the signage from the bus and decided to drop in. Public transportation sight-seeing works! And on top of that, So Into Cupcakes sold 30 cupcakes during the brief time I was there. 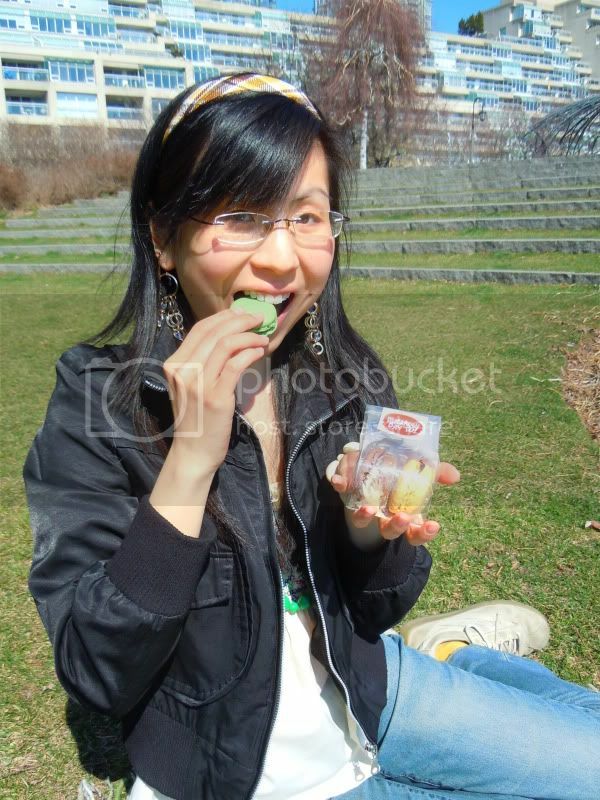 I know I take my time taking photos and savouring my food (according to my mother, I chew 21 times before I swallow. Go figure. ), but still! 30 cupcakes purchased by multiple customers without even the slightest bit of coaxing during the lull period in the afternoon is mighty impressive! No market by tooshie! I could go on and discuss the broader context of the socioeconomic status of residents and its relation to luxury goods, but I’ll save that for another day. Right now we’re going to delve into the world of cupcake flavours, prices, and online connections. Let me just say that if any of you are interested in checking them out, ditch the main website and follow them on Facebook and Twitter, if you have either account. Their website is lovely with beautiful photos, but I’m telling you, if you want to get the full monty, you have to keep up with their Facebook page because you get such a better feel for what they have to offer. Their cupcakes ($2.50 for regular-sized, $1.50 for minis) come in 12 different regular flavours that rotate on a daily basis: vanilla, chocolate, salted caramel, strawberry, lemon, cookies n’ cream, coconut, s’mores, rocky road, red velvet, mocha, and peanut butter. What makes their selection extra exciting is their constant introduction of monthly flavours which they announce on their Facebook page and Twitter. We’re talking Boston Cream, maple, spicy chocolate, chocolate cheesecake, pink lemonade, key lime, root beer, blueberry, mint chocolate, and SO MUCH MORE. 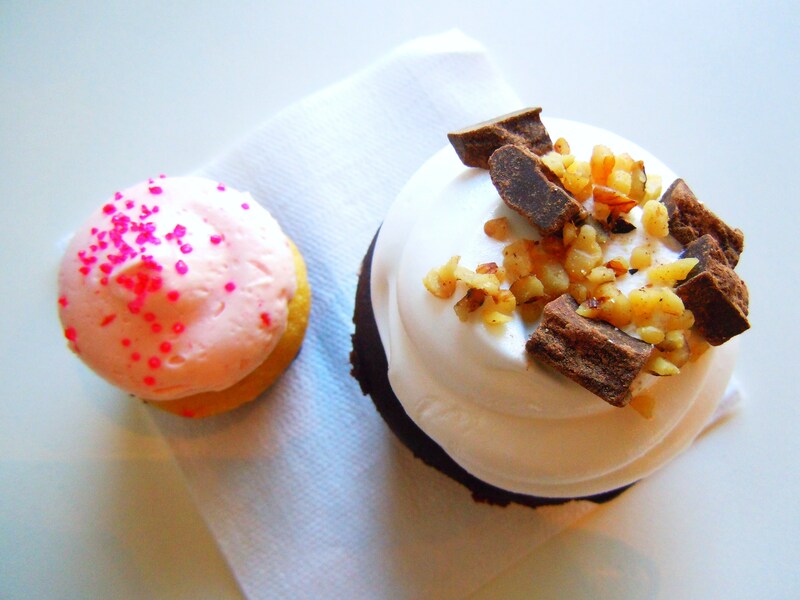 For my first foray into the So Into Cupcakes’ goodies, I picked out a strawberry mini and a rocky road regular. 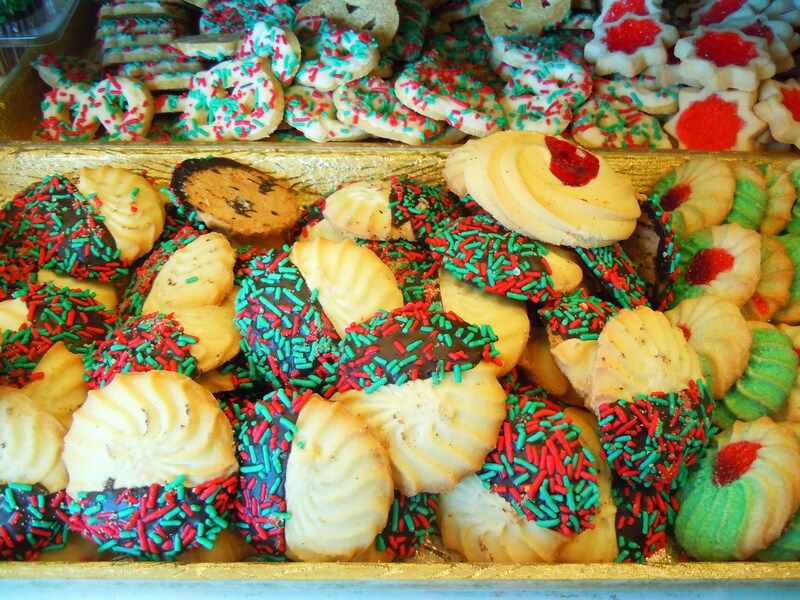 So cute, so yummy, so creamy, so fun! Remember how I said the strawberry cupcake from Flour Studio tasted just like strawberry Pocky? I didn’t think I could find one that tasted more like it, but I did! 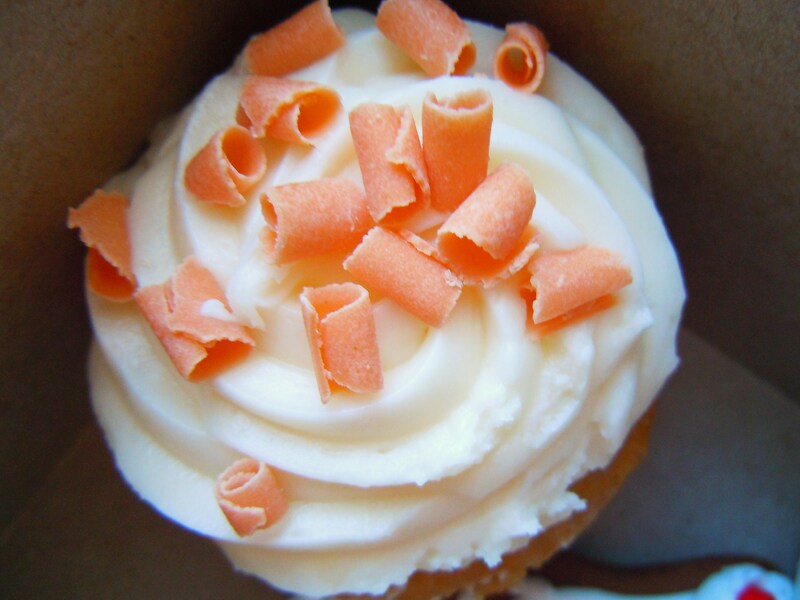 The strawberry cupcake is strawberry Pocky in cupcake form, bang on! It’s so creamy and candy sweet. 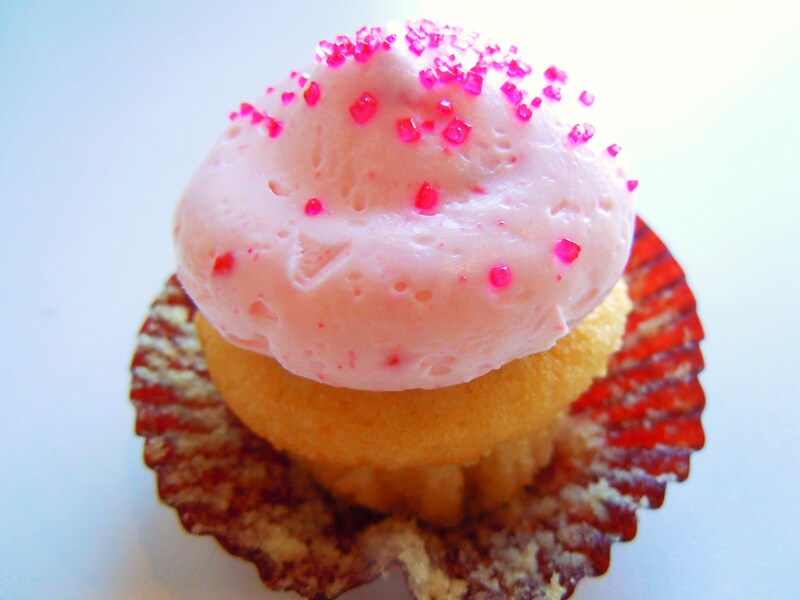 The strawberry frosting sits on a vanilla cupcake with little sugar sprinkles on top. And the rocky road? Oh my gosh. One of the cutest, funnest cupcakes EVER! And FINALLY a cupcake that does marshmallow justice! 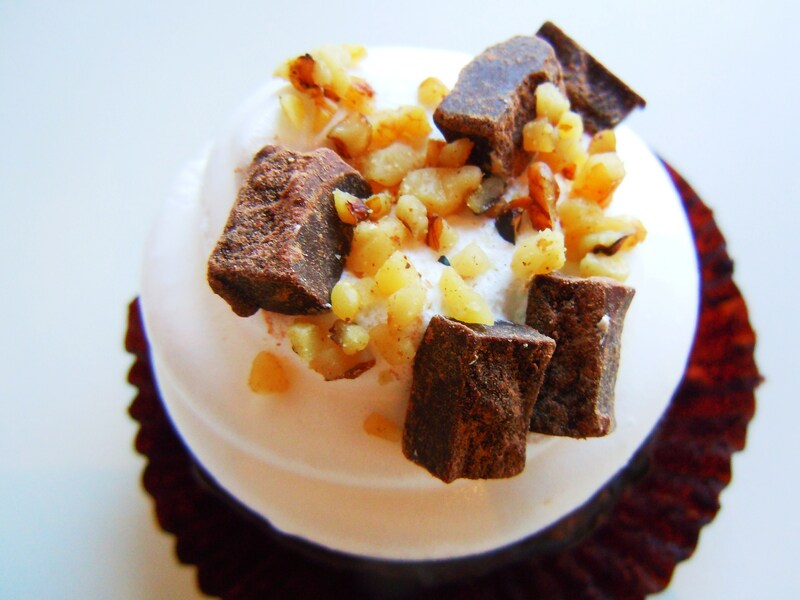 Their rocky road cupcake is literally ooey, gooey, soft marshmallow “frosting” on top of a chocolate cupcake with chocolate chunks and nuts bits sprinkled on top. REAL MARSHMALLOW! I’ve had cupcakes that were supposed to taste like marshmallow but sadly enough, just tasted like vanilla cream, like the kind of filling you’d find in a Hostess cupcake. Which is fun! For a Hostess cupcake. NOT for a cupcake claiming to be marshmallow! This cupcake is truly one of the funnest things I’ve ever eaten. The chocolate chunks and nut bits complement the marshmallow topping so well, and while the chocolate cupcake is what you’d expect of any decent chocolate cupcake, I still think it’s mega special simply because it’s moist and fudgy and most importantly, not dry! I’m so happy this new cupcake bakery is here in Scarborough and I think all the flavours that they’ve been coming out with are so fun and exciting! And while the bus isn’t the most glamourous or ideal mode of transportation sometimes, it earns brownie points in my book just for allowing me to make this sweet discovery. 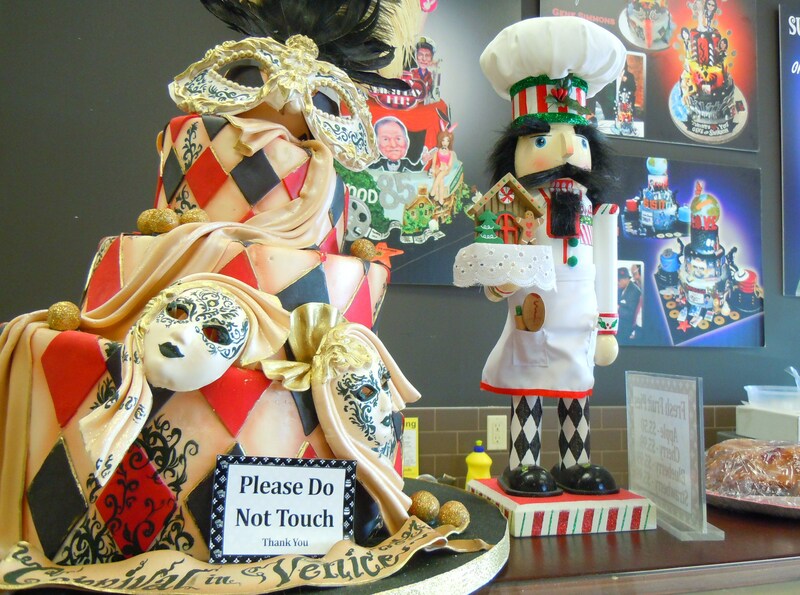 So Into Cupcakes is located at 2060 Ellesmere Rd. in Scarborough, at the corner of Ellesmere Rd. and Dolly Varden Blvd. (by Ellesmere and Markham Rd.). You can follow them on Facebook HERE and on Twitter @sointocupcakes HERE.